This is the Latin version. For the English translation (Global Grey PDF, epub, Kindle), click here. Three Books of Occult Philosophy (De Occulta Philosophia libri III) is Heinrich Cornelius Agrippa's study of occult philosophy, acknowledged as a significant contribution to the Renaissance philosophical discussion concerning the powers of ritual magic and its relationship with religion. 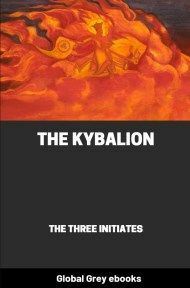 The three books deal with Elemental, Celestial and Intellectual magic. The books outline the four elements, astrology, kabbalah, numbers, angels, God's names, the virtues and relationships with each other as well as methods of utilizing these relationships and laws in medicine, scrying, alchemy, ceremonies, origins of what are from the Hebrew, Greek, and Chaldean context.